It is often required that a defined pressure gradient of 50 − 150 Pa is set between two neighboring rooms. 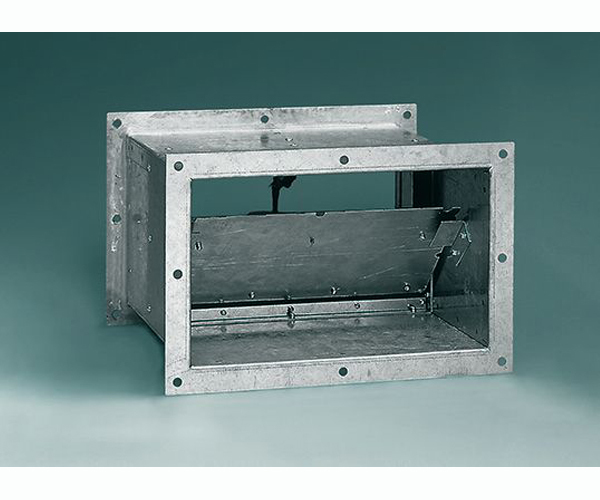 This guarantees a directed flow of air in the leakage ports existing between the rooms and thus avoids the undesired transport of pollutants into the room to be protected. Pressure relief dampers type KL-ETE can be used in this application both as control device for setting a defined pressure gradient between two rooms and as safety valve to set a limit to a maximum admissible pressure value. Depending on available space and range of volume flow to be relieved pressure relief damper type KL-ETE or type KL-ETM is the optimal choice.